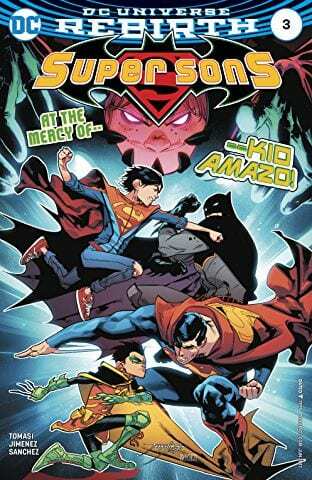 Geeklings, what a great and glorious New Comic Book Day it is! We’ve got the release of two hotly anticipated books, and yes I used the term hotly. I don’t know how I feel about it but it’s too late to turn back now. Marvel Studios has released a little concept art and the directors of Captain Marvel along with the first trailer of the Cloak & Dagger show, and I have to admit it looks way better then I anticipated (Fan Fest will have a write up soon). I figured on Freeform it would be a little… overly dramatic? But I liked what I saw as I’m a bigger fan of Cloak & Dagger than I thought, especially their Ultimate Universe counter parts. Wait, does anyone know if the Ultimate Universe versions of them died during Secret Wars? If you have the answer can you hit me up on Twitter @iamgeek32. On top of all this awesome the track listing of the Guardians Vol. 2 soundtrack was released and I’ve been avoiding it like the plague. I want to be surprised when the songs show up in the film, call me a purist but the songs are made so much better when you can associate them with scenes. But man, am I itching to know the song choices. Life is hard my friends. Then on a personal note my Marvel Collector Corps Guardians of the Galaxy Vol. 2 arrived in the mail and it is allllllll types of awesome. Like I said, this has been a glorious New Comic Book Day and if you can’t tell, I’m a little bit excited. Granted it’s been very Marvel filled, sorry DC fans, but it doesn’t make it any less glorious. 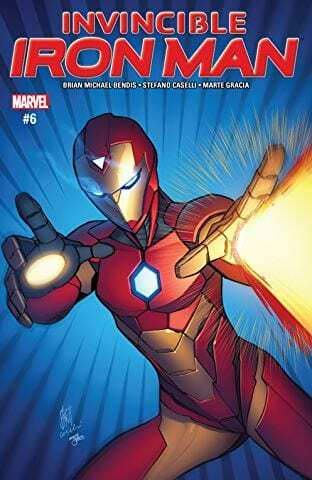 With all that out of the way, what do you say we start talking about some comics because there were some books released today. Legit, heavy hitting, impactful books. Here we go. 1. 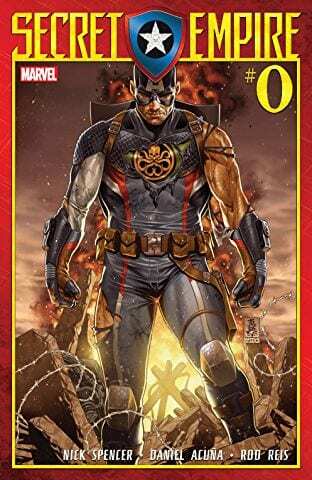 Secret Empire #0– If you read this column on a weekly basis then you are well aware that I have been anxiously awaiting for this series to be released. I just love the idea of Captain America being the ultimate villain in the Marvel universe. The story telling it could lead to is endless with it’s excitement and heartbreak. None of Marvel’s heroes could be prepared for this and that’s why I think it’s going to work so well. What will they do when the best of them turns heel (sorry, wrestling term)? I’ve read this issue and it’s a tremendous start to this event. Immediately it had everything that Civil War II didn’t. This issue is tense, tactical, and instantly felt important. Nick Spencer has spent the last year setting the board for this and watching Cap systematically put things in motion is horrifying in it’s precision. This seems like it could be an event that lives up to all the hype. Issue #0 is a must read! 2. Batman #21– It’s been about a year since DC released Rebirth #1 and since then Dr. Manhattan has loomed large over the DC universe. Well, enough time has passed where we can start finding out some answers to just how The Watchmen connects to the DC universe and what it could possibly mean. If you’re looking for immediate answers then you might find this issue a little disappointing, but I’d like to tell you to be patient. This issue moves at a break neck pace, sees the return of two Flashpoint characters (I won’t tell you who), is gorgeously drawn, and the end will have you going “oh come on don’t end it now“. I really enjoyed it as it kind of read the exact oppositely of Secret Empire. 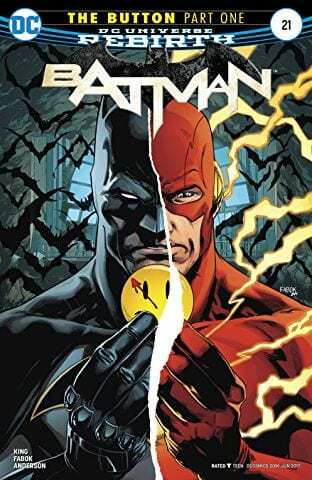 There are some questions on the horizon as Batman and the Flash try and figure out just who watches the Watchmen or why the Watchmen are watching them. 3. 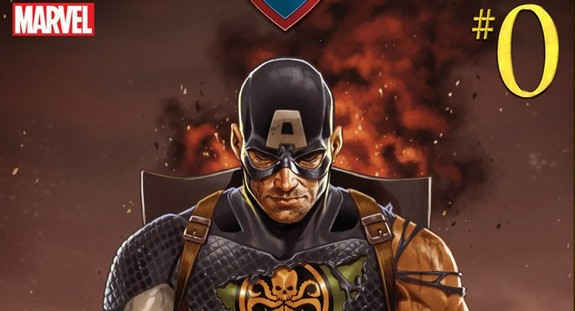 Steve Rogers Captain America– Oh, you thought Secret Empire was going to be all the Hydra Captain America goodness you were going to get today? Hate to break it to you but you were wrong. There are tons of tie in issues out today, including Thunderbolts, US Avengers, and the newest issue of Steve Rogers Captain America. The Secret Empire event will give plenty of action and answers but I’m willing to bet that the real depth of the story, and payoff (? ), will take place in this book right here. Spencer has worked hard at crafting something so insane that it’s brilliant, even braved death threats, and in some ways I feel that he has earned furthering the story in the comic that started it off. 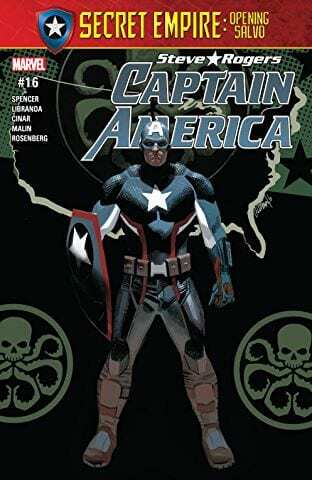 If you read Secret Empire and wanted more this is going to be where you want to turn to next. Hydra Cap stories for everyone! 4. 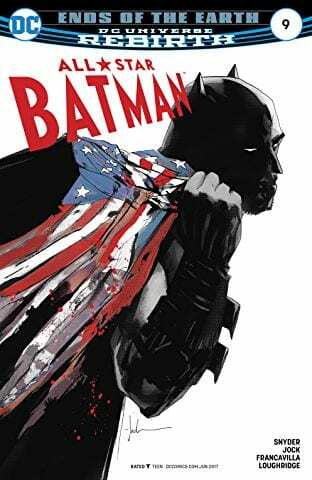 All-Star Batman #9– If it seems like all of this weeks books are just Batman and Captain America, I can see how you would get that idea, but I have to argue these really are the best books for the week. There is sooooooo much going on that pertains to these characters that I would feel like I lead you astray by not mentioning them. Scott Snyder’s “End’s of the Earth” story line comes to a close and if it has been anything like the rest of this series then it’s sure to be full metal, face melting awesome. No, I have no idea what that description means either but it was the only way I knew how to describe the book. Read this and tell me it doesn’t make sense. I’m always open for better expressions. 5. 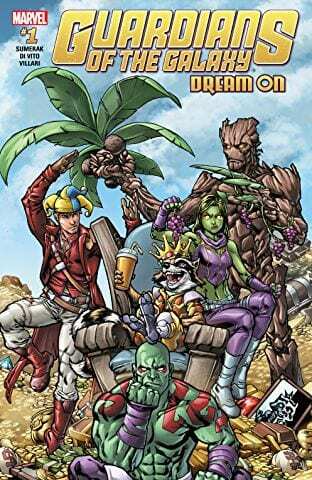 Guardians of the Galaxy Dream On #1– Geeklings, I have no idea what this is. It’s not the new on going Guardians series but seems more like an additional title filled with Guardians goodness. I took a peek inside and the book is vibrant and charming and looks to satisfy any and all of your Guardians needs until Vol. 2 comes out in two weeks. Two weeks!!! Not soon enough. There you have it Geeklings, these are the books you should be running out to your local comic shops to buy, and if you’re local comic shop is too far be sure to turn to Comixology and just download them. There are tons of great and exciting books to read this week so get on it. 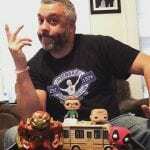 Then find me on Twitter (@iamgeek32) and let’s talk about them. Because what’s the point of reading comics if you’re not going to discuss them with someone? Happy reading everyone and see you all here next week! Awesome Con: The Doctor Is In!